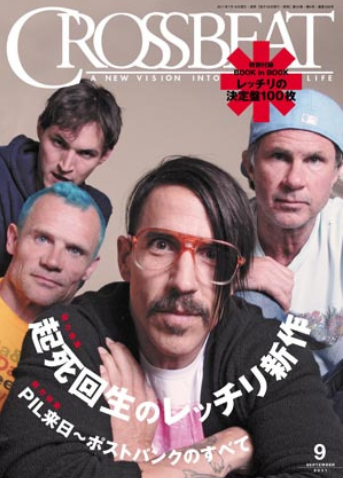 Anthony Kiedis with the rest of RHCP on the cover of Japanese magazine, Crossbeat- another photo taken at the time of the promotional interviews for ‘I’m With You’ the new Red Hot Chili Peppers’ album. 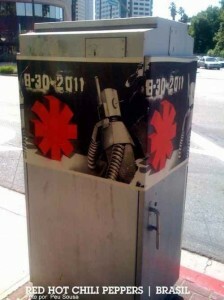 The mystery of those promotional photos featuring the album release date and the pictures of a robot has been ‘cleared’ up. Banksy protégé Mr. Brainwash. Mr. Brainwash — real name Thierry Guetta — told TMZ that RHCP hired him to use street art to promote their new album… However, Warner Brothers since said the band has nothing to do with these posters. And finally, new photo of Anthony Kiedis with a fan has also been released today. Many thanks to Andjelka, Brendan & Cali 4nication for the updates. 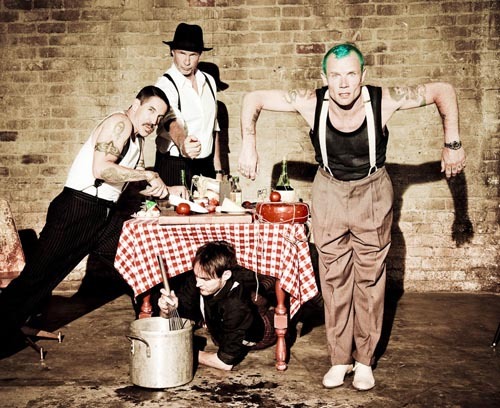 Sonisphere organiser Stuart Galbraith has said that the festival are in talks with both Foo Fighters and Red Hot Chili Peppers, as well as a host of other acts, for headlliners of next year’s event. Speaking at the official festival press conference, he also confirmed that the festival would be running over the weekend of July 6-8 in 2012 and that tickets for next year’s event would be going on sale on Wednesday (July 13), with prices capped at this year’s rates for a limited number of tickets. Thanks to Jason for the heads up on this! 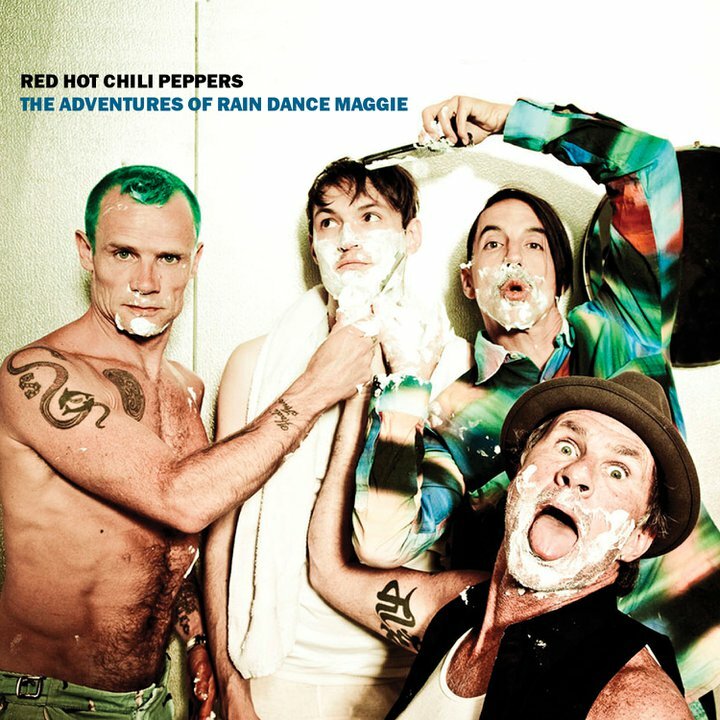 The Adventures of Rain Dance Maggie…. It’s getting closer and closer! 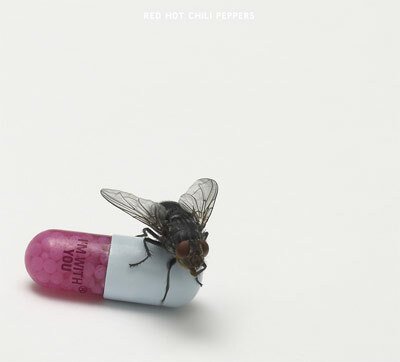 After the false start of thinking we were going to be hearing the first RHCP single off the forthcoming Red Hot Chili Peppers’ album, I’m With You, within a couple of hours from now, the excitement is starting to mount again for the first play on the 18th July! This has just been posted on Facebook with details of how The Adventures of Rain Dance Maggie will be streamed live so that people can listen to it! Two Days Until We Hear The Advenutres of Rain Dance Maggie! Many thanks to Beth for sourcing this while I was away for the weekend! 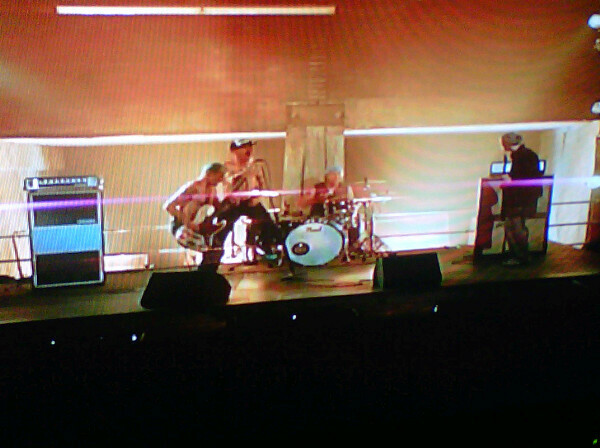 New Red Hot Chili Peppers single on blast in here right now. Mid tempo funk workout…new guitarist Josh Klinghoffer all over it. Thanks to Alex for this! Thank you for your patience over this and my apologies for any inconvenience caused. RHCP are recording the video to The Adventures of Rain Dance Maggie their first release from new album, I’m With You, with Kreayshawn. Kreayshawn (real name Natassia Zolot) is an American hip hop singer-songwriter based in Oakland, California who also directs videos.